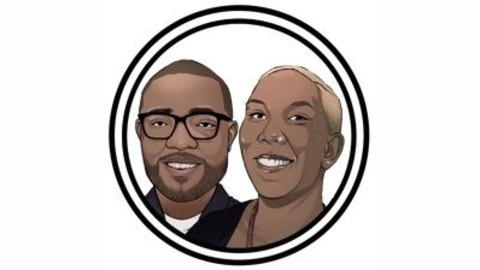 This is an accidentally funny podcast about the realities of Blackness and adult life. Our goal is to create a space for Black millennials to discuss and embody adult life on their own terms. We aren’t beholden to “traditional” gender or parenting roles, queerness is fluid and present in the ways we show up in our relationships and in the world, and we want to build community with other 30-something Black folx who are trying to figure this ish out. We do “adult” differently. -About Daren and Jenn- Jenn is a queer, Black feminist from Oakland. Daren is an introverted nerd and novelist from Anaheim. They are boo’ed up and have been since 2002 when they bonded over a mutual love of Brian McKnight’s “Never Felt This Way”, their favorite Brandy lyrics, and nineties TV like Family Matters, Fresh Prince of Bel Air, and Living Single. It was a shared obsession with Black cultural icons, histories, and artistry that drew Jenn and Daren to one another even though they are actually completely different personality-wise. Jenn and Daren have always said to themselves, “Wouldn’t it be cool if we had a show?” Well, no major networks have reached out yet. So, until that happens, you can find the them here, sharing their views on race and culture and everything in between. They are young thirty-somethings who have been married since for over a decade. Jenn and Daren have three beautiful, brilliant, radical, snarky kids who play no games. 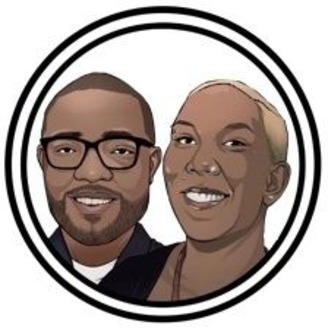 In the first segment, Jenn and Daren introduce a listener’s question and the reason why they enlisted a panel of people experienced in interracial dating to provide their insight and share their experiences. In the second segment, Jenn, Daren, and their panel discuss gender and racial dynamics within relationships from how “the gaze” can cause discomfort and fear to the rarity of resources that deal with interracial relationships that do not include a white person. In the third segment, Jenn and Daren reflect on how this discussion has opened their eyes to the complexities of interracial relationships and the common ground that exists amongst relationship types that are “othered”. Article for reference: * 'Least Desirable'? How Racial Discrimination Plays Out In Online Dating https://www.npr.org/2018/01/09/575352051/least-desirable-how-racial-discrimination-plays-out-in-online-dating www.ThatBlackCouple.com FB: www.facebook.com/ThatBlackCouple Twitter: www.twitter.com/ThatBlkCouple Instagram: www.instagram.com/thatblkcouple iTunes: https://itunes.apple.com/us/podcast/that-black-couple-podcast/id1284072220?mt=2 Spotify: https://open.spotify.com/show/2M7GIQlWxG05gGq0bpBwma?si=xSkjzK0BRJW51rjyl3DWvw Stitcher: www.stitcher.com/podcast/that-black-couple SoundCloud: https://soundcloud.com/thatblackcouple Google Play: https://play.google.com/music/m/I7nue367hsfjdjbsyxed2tpeoca?t=That_Black_Couple_Podcast Email: ThatBLKCouple@gmail.com Podcast Summary: This is an accidentally funny podcast about the realities of Blackness and adult life. We do “adult” differently. We are That Black Couple. Our goal is to create a space for Black millennials to discuss and embody adult life on their own terms. We aren’t beholden to “traditional” gender or parenting roles, queerness is fluid and present in the ways we show up in our relationships and in the world, and we want to build community with other 30-something Black folx who are trying to figure this ish out. #ThatBlackCouple Ep 21 - It's The New Year and I Ain't Changing $#!t!